This article will help you learn some of the essential little blue penguin facts for kids also known as the fairy penguin. The little blue penguin, belongs to the family of Spheniscidae, is by far the smallest of all the penguin species. These birds are mostly found in the Southern coastlines of Australia. Johann Forster was the first biologist to discover the little blue penguin in the late 18th century. Naturalists hold that these penguins believed to exist more than 2 million years ago. Eudyptula Minor is the scientific name of little penguins. 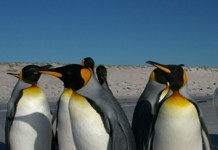 The average length of these penguins is about 43 cm (17 in), some of which measures around 33 cm (13 in). Unlike other species, these penguins are called by different names such as Fairy Penguins, and Blue Penguins. Subspecies of these birds are not confirmed yet. These penguins weigh around 1.5 kg (3.3 pounds) on average. The color of the head and underside body is blue. The wings are blue in color. It has a grayish black beak. They can swim with the speed of 6 km per hour. The female lays 2 eggs between the months of August and November. 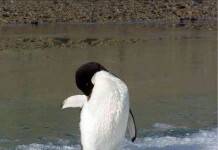 The young penguins can fetch a food for themselves after 2 months. They can swim up to 2.5 km/hour (1.6 mph). One an average, these species travel almost 80 km per day. Females as well as the males participate in the incubation process. The breeding lasts from May to June. They have the shortest breeding cycle amongst all the species which lasts only for 50 days. The incubation periods lasts from 33 to 37 days. 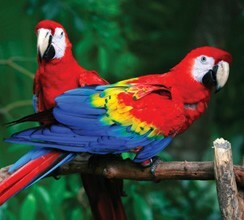 The average lifespan of these birds is 6.5 years. Under captivity, little penguins can survive up to 25 years. Where do Fairy Penguins lives? Apart from the Australian coastlines, these birds also exist on the coastlines of New Zealand. There are more than 20,000 little penguin pairs in the Southern Australia. In some parts of South Africa and Chile, these species have been reported to exist. Rough estimates of the little penguin’s population around the world is about 350,000 – 600,000. These birds are not believed to be endangered species. In the Southern coastlines of New Zealand, there is a significant decline in the population of these species i.e. 65% to 70%. There are quite a few number of predators of these birds, some of the which are dogs, foxes, cats, reptiles, raccoons, and stoats. Since the number of predators is increasing, the population of little penguins is facing a sheer reduction within few years. The population has been drastically reducing in the Victoria islands, an estimate tells us that there were more than 5000 species lived initially; however, now the figure has dropped down to just 100 birds. 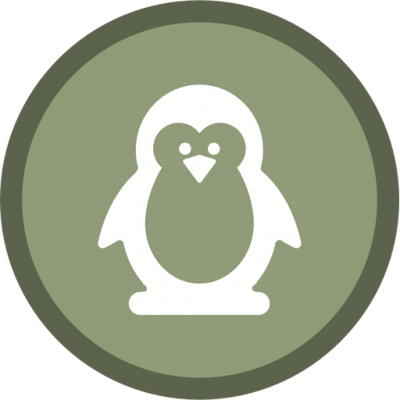 Reports have recently verified that 40% of the little penguins are eaten by seals. These birds are very fond of swimming in that they spend most of their daily time under water. They come out to hunt at the daylight. Since they are very small, they tend to hunt tiny insects, fish, and squids. They are customarily deemed to be the inshore feeders. They are capable to dive into the 20 meter deep water and remain underwater for about 1 minute. The males turn out to be mature after 3 years. 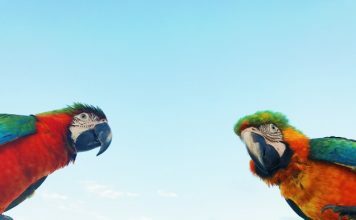 They are the monogamous birds in that they tend to remain with their partners for long periods, especially in breeding seasons. 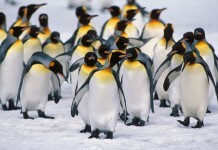 Like other penguins, these species also live in large colonies. The study of little blue penguin facts tells us that they come back to their colonies at dusk. One of the largest gatherings of these birds is found in the fox-free islands in Australia. Hi I thing your Website is great. I saw Little Blue Herons in New Zealand! 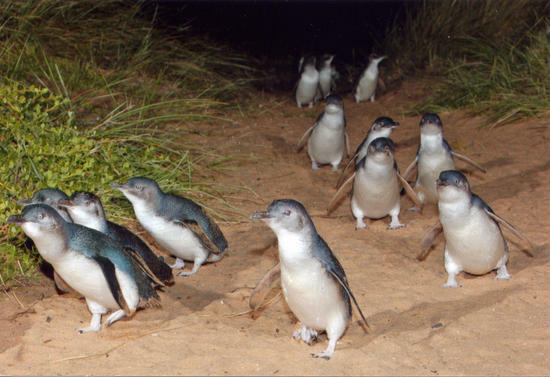 I mean Little Blue PENGUINS! !